Pre-Requisites: Access Advanced Level 3 strongly recommended, as you should watch all of my classes in order. However, if you're skipping around, you should have at least completed the Beginner series and the first 3 or 4 levels of the Expert series where I start to cover functions. This class continues our exploration of Macros and Event Handling. 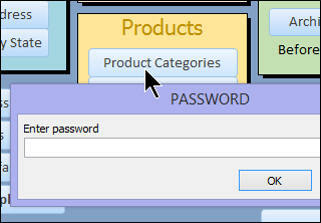 We will begin by learning how to create a form that requires a password to open it. We'll use the InputBox and the SetTempVar commands to get the password, and then check that against the password stored in the global system settings table with the DLOOKUP command. 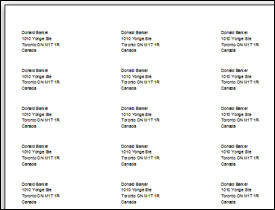 Next we'll learn how to create a full sheet of the same customer label. I'll show you two different methods. 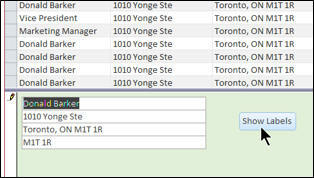 One uses a table with some bogus temporary records in it, and is real easy to build, but fast to implement. Another downside is that you can't edit the individual labels. The second method is more in-depth, and requires more work, but allows you to actually edit each individual label if you'd like to. You'll learn about the SendKeys command, OpenTable, GoToRecord, how to loop multiple times with the RunMacro command, and more. 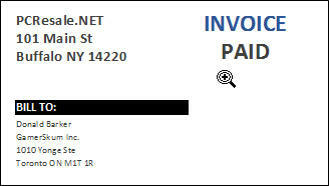 Next we'll learn a new method for displaying QUOTATION or INVOICE on our printed report. Before we used a query with an IIF statement, which is perfectly fine. But in this class I'll show you a different way: using the Build Event of the report section and the SetProperty command in a macro. This new method would allow you to change the color, font, or other properties of the text as well, instead of just the word itself. Finally, we're going to learn about Macro Groups and Submacros. Macro groups are simply a way of organizing commands inside of a macro. Submacros allow you to create separate mini macros inside of a big macro. 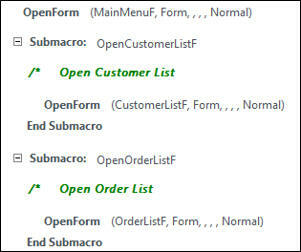 For example, if you want to have macros to open your forms, you don't need to make a separate macro for EACH form. You can put them all inside of submacros in an "OpenFormM" macro. This doesn't clutter up your navigation pane. This is the 4th class in the Access Advanced series. If you're serious about building quality databases with Access, and you want to learn how to automate your database with Macros and Events, which is a good pre-cursor to VBA programming then don't miss out on this course. Of course, if you have any questions about whether or not this class is for you, please contact me. Richard on 4/9/2017: Access Advanced 4 continues our in-depth study of Macros and Event Programming. If you're serious about building quality databases with Access, and you want to learn how to automate your database with Macros and Events, which is a good pre-cursor to VBA programming then don't miss out on this course. Contents include: - Password to Open a Form - Creating a Global Settings Table - Full Sheet of the Same Label - SendKeys Command - RunMacro Command - Looping with External Macros, Repeat - New Quote or Invoice Method - Macro Groups and SubMacros - Inserting Comments in Macros Click here for more information on Access Advanced 4, including a course outline, sample videos, and more. This course was recorded using Access 2016, but most of the topics covered are valid for all versions of Access from 2007 on. This class follows Advanced Level 3. The next class in the series is Advanced Level 5.